Brick Lane is the story of Nazneen, a young Bangladeshi woman given into an arranged marriage to Chanu Ahmed, a man almost twice her age. Chanu takes her to London, where he has lived and worked for almost two decades. Nazneen not only has to learn to live with Chanu, but she has to survive in a whole new culture as well. In your group research online cultural differences in the UK. Write a paragraph about this on your blog. Include statistics and numbers. 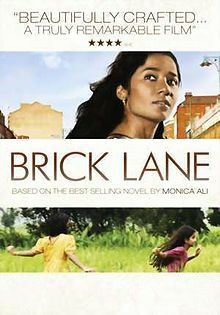 Watch the movie Brick Lane in class. Find more info about the film here. Discuss the inter-generational conflict between immigrants and their European-born children. What are the root causes of the trouble between them? Write about this on your blog as a continuation of your first paragraph. Include examples from others films you have seen in class, other texts you have read in class. I love this story. It is so rich. Thanks for sharing your work here! Thanks for commenting on this post!